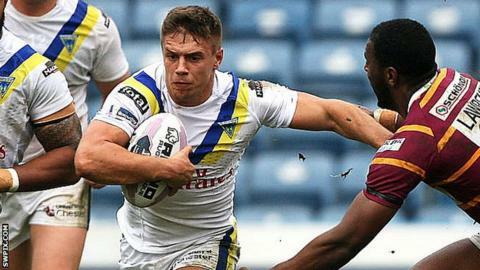 Matty Russell has signed a new contract that will keep him at Warrington until the end of the 2017 season. The 20-year-old former Wigan youngster, who impressed for Scotland at last year's World Cup, agreed a two-year deal in October. Although his season has been affected by injury, the full-back has done enough in his six appearances to earn an extension to his contract. "I felt settled here before I was even playing," he told the club website. "This year I'm looking to cement my spot and keep up some good form. "In the coming years I'd like to become a regular first-team player and make an impact in Super League and on the fans." Coach Tony Smith added: "I think Matty has shown, in the short time that he has been here, what he is capable of and there is a lot more to come."